Unique opportunity! 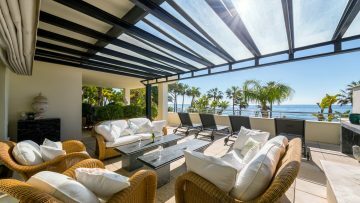 One of the most impressive large residences on the Golden Mile, situated close to the famous Marbella Club Hotel and the beach. 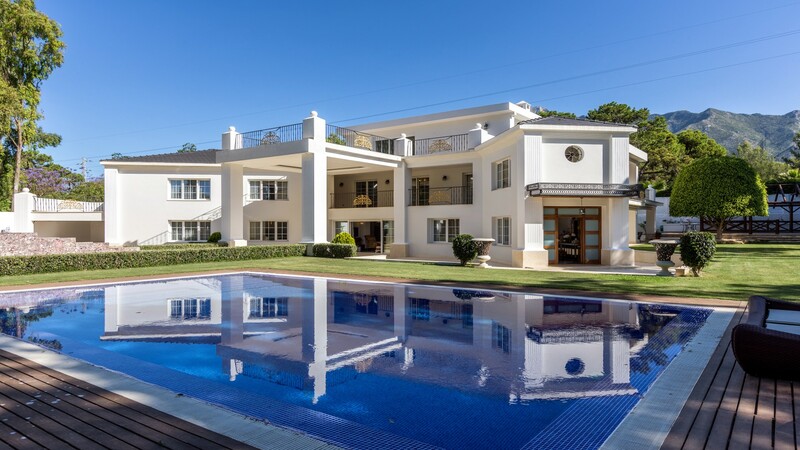 Set on a large, very private plot of 2.650 m², this prestigious home with over 800 m² of living area offers luxurious modern living in the absolutely best location of Marbella. 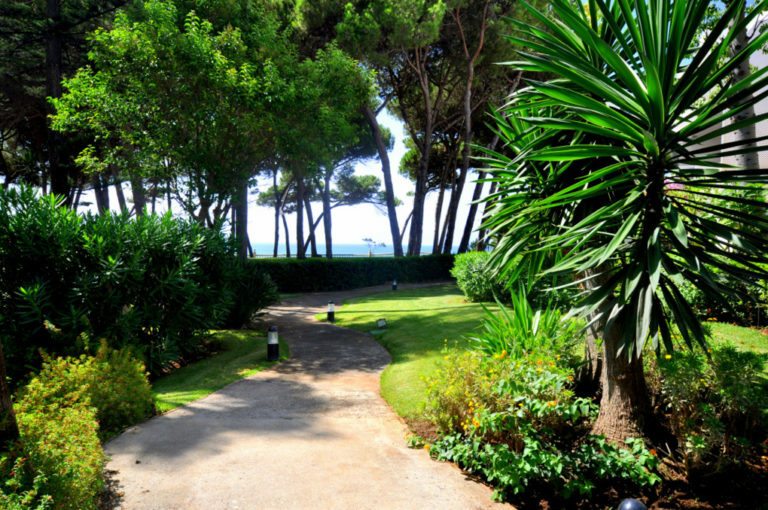 A beautiful scenario of marvelous gardens, with a spectacular fountain and a large swimming pool, welcomes you into an oasis of tranquility just meters away from all the amenities. The villa is built in a modern, classic style and offers an ample living area with large reception rooms and several sitting areas, dining area, a modern kitchen, an elegant office and ample bedroom suites, all with access to terraces. There is a separate guest or staff house, with a further bedroom and salon, as well as a separate outdoor dining area with BBQ. The property enjoys lovely sea views from the upper floor. 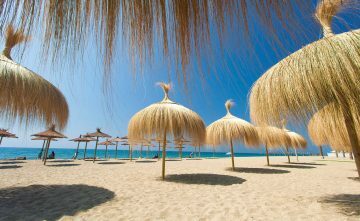 If you are searching a prestigious property in the best location of Marbella, this villa is a rare find!